Dr. Sunil Prakash is a Nephrologist of national repute, associated with the BLK Super Specialty Hospital in New Delhi. A Senior Consultant & the Director of the Nephrology Department, Dr. Prakash pursued his MBBS & MD (General Medicine) from the Ganesh Shankar Vidyarthi Medical College (GSVM) in Kanpur, and DM in Nephrology from the prestigious All India Institute of Medical Sciences (AIIMS) in New Delhi. Academically accomplished, he was awarded several fellowships, including the FIACM, FISPD, F.I.S.N. (USA), and FICP. 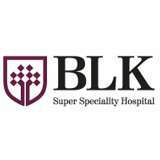 Prior to joining the BLK Super Specialty Hospital, he has worked with other reputed institutions, including the Artemis Health Institute, Northern Railway Central Hospital, AIIMS, and the Moolchand K. R. Hospital. With a vast experience of over three decades, he has performed more than 200 successful Kidney Transplants. Trained under Dr. D. G. Oreopoulus at the University of Toronto in Canada, Dr. Prakash had started Live Related Renal Transplant Program at the Artemis Health Institute in Gurgaon, the first of its kind in the state of Haryana. Proficient in performing Dialysis, Kidney Transplant, Medical Treatment of Kidney Stones, Hemodialysis, Newer Modalities in Dialysis, and Diabetes Control by Reversing Serum Creatinine Levels, Dr. Prakash has been bestowed with many awards. He was awarded the General Manager, Northern Railways' Best Physician's Award, the Scholarship to attend the Post WCN Satellite Symposium in Singapore in 2005, and the Best Clinical Paper Cash Award at the 32nd ESPEN Congress in Glasgow in 2002. He has also been awarded travel grants from various prestigious organizations, including the International Society of Nephrology to present papers in XIVth International Congress of Nephrology in Sydney in 1997, the XVth International Congress of Nephrology in Buenos Aires in 1999, the XVIIth International Congress of Nephrology in Berlin in 2003 and more. Regularly invited as a guest speaker at many prominent International Conferences, he has authored more than 35 publications, research articles & abstracts, and he is also the editor of the News Letter of the Delhi Nephrology Society. 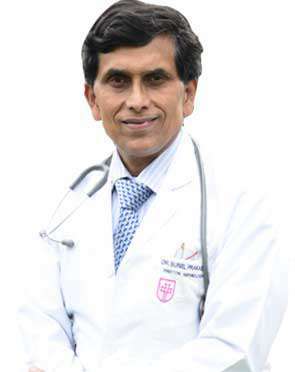 A committed doctor, he is a member of various prestigious organizations, including the International Society of Nephrology, European Society of Dialysis & Transplantation, Asian Society of Transplantation, Association of Physicians of India, Indian Society of Nephrology, Peritoneal Dialysis Society of India, Indian Society of Organ Transplantation, Indian Society of Hemodialysis, Indian Academy of Clinical Medicine, Northern Chapter of Indian Society of Nephrology, and the Delhi Society of Nephrology. Dr. Prakash performs 2 different procedures. Click on a procedure name to see more details and to view doctors for that specialty. Kidney Transplant is a procedure usually performed on patients that have diseased, damaged, or non-functioning kidneys. In this procedure, the patient is generally placed under general anesthesia. The doctor will then make an incision in the abdominal area, and will insert the donor kidney(s) into the patients body (without removing the patients old kidney).